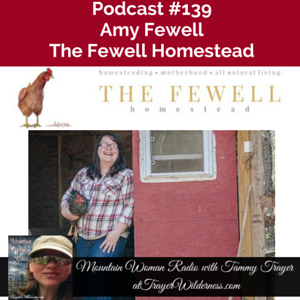 July 20th, 2016: In today’s show I had a wonderful interview with Amy Fewell. Amy is a writer for Mother Earth News, soon to be published author, woman farmer and blogger at TheFewellHomestead.com. I love being able to converse with other kindred spirits because we all have different ideas, ways of inspiring and knowledge to share.